Kamianets [Кам’янець; Kam’janec']. Map: smt (2016 pop 8,405) and raion center in Brest oblast, Belarus. Its previous name was Kamianets-Lytovskyi. 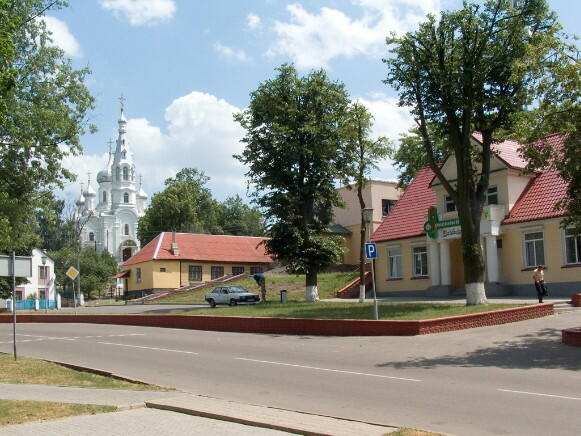 The town was founded in 1276 in the Berestia land by Prince Volodymyr Vasylkovych of Volhynia. 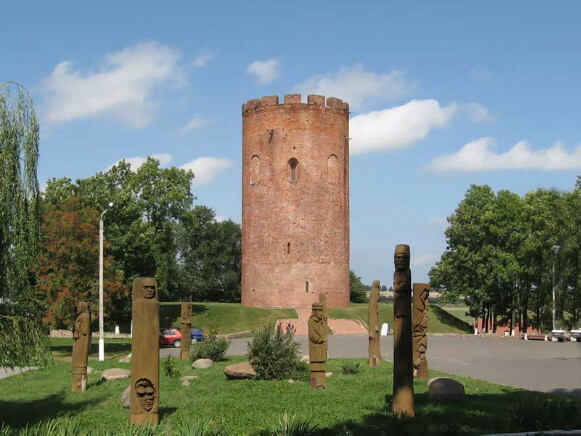 In the early 14th century it became part of the Grand Duchy of Lithuania. By the mid-17th century it had declined to an insignificant village. Of its former fortifications, only the medieval White Tower has been preserved. Kamianets and its environs are on Ukrainian ethnic territory, and in the Peace Treaty of Brest-Litovsk (1918) they were recognized as a part of Ukraine. According to the 2009 census, ethnic Ukrainians constitute 7.4 percent of the population of Kamianets raion, but, most likely, the actual number of people of Ukrainian origin living in this region is considerably higher.